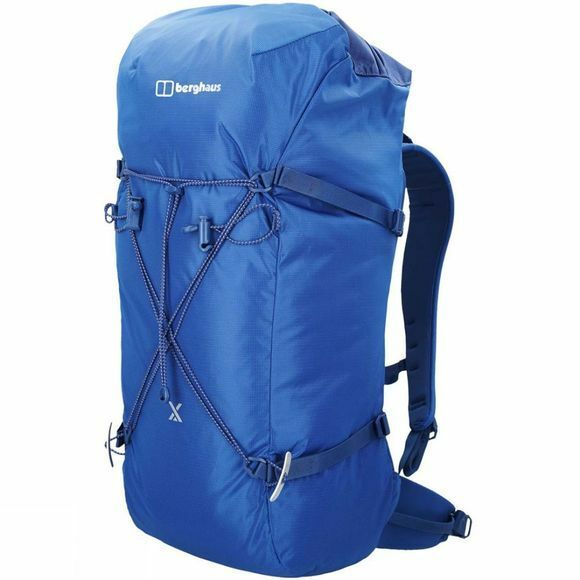 The Alpine 45 Rucksack from Berghaus has all you need for an easier, comfier climb. 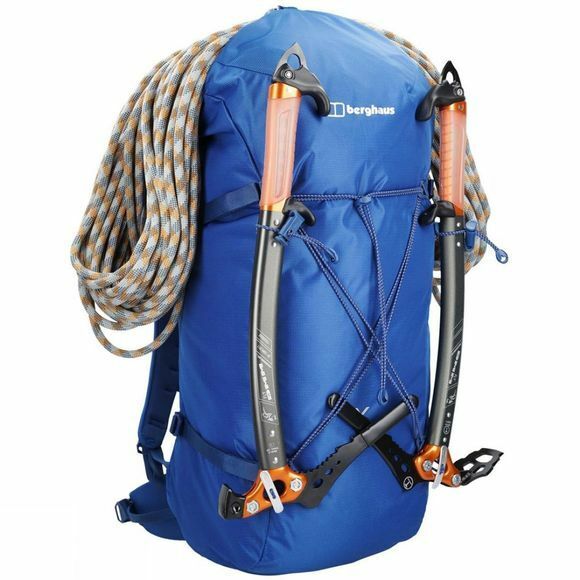 With an impressive strength to weight ratio, weighing just 955g, you can lighten the load even further by removing the aluminium frame, when weight and space are critical. The low profile back and shoulder system brings great stability and comfort, while snow shedding fabric provides reliable weather protection. You can keep everything safe and secure thanks to the sleek roll-top closure, which also gives you speedy access to essential gear. For easy-reach essentials, the slim line hip belt and gear loops are a life saver. With extra touches like a top strap for security, reflective material and an aluminium ice axe holder, we’ve pretty much thought of everything.